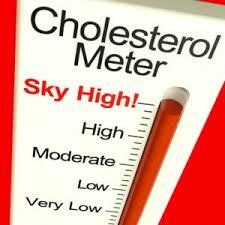 ​Cholesterol is a waxy substance that's found in the fats (lipids) in your blood. While your body needs cholesterol to continue building healthy cells, having high cholesterol can increase your risk of heart disease. ​Factors within your control — such as inactivity, obesity and an unhealthy diet — contribute to high LDL cholesterol and low HDL cholesterol. Factors beyond your control may play a role, too. For example, your genetic makeup may keep cells from removing LDL cholesterol from your blood efficiently or cause your liver to produce too much cholesterol. ​High-density lipoprotein (HDL). 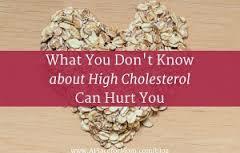 HDL, or "good," cholesterol picks up excess cholesterol and takes it back to your liver. Poor diet. Eating saturated fat, found in animal products, and trans fats, found in some commercially baked cookies and crackers, can raise your cholesterol level. 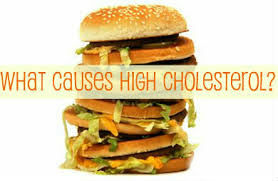 Foods that are high in cholesterol, such as red meat and full-fat dairy products, will also increase your total cholesterol. Dietary cholesterol can only come from animal products.